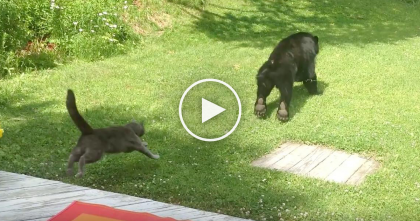 This Baby And Kitty Wake Up From A Nap Together, Now Watch Them… It’s Simply PRICELESS. When this adorable little kitty wakes up from a nap with his tiny human, you must see the cuteness, it’s almost too much to handle! 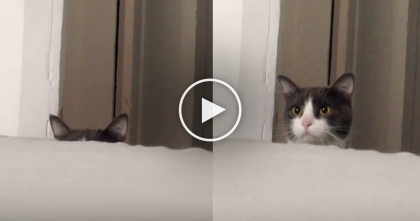 The cutest little tiny yawns from this sweet kitty and little baby girl will just tug at your heart, they’re the purr-fect family together—keeping each other warm and comforted. 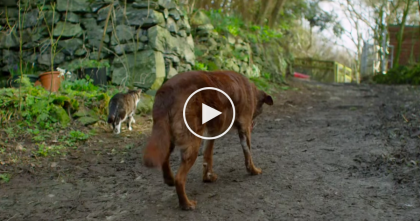 All kids deserve to have a best friend like this, wouldn’t you agree?? 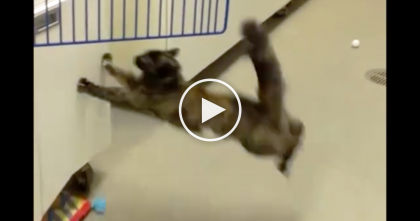 The Moment When Cat Tries To Jump From Slippery Floor… OMG, I’m Not Sure To Laugh Or Cry! 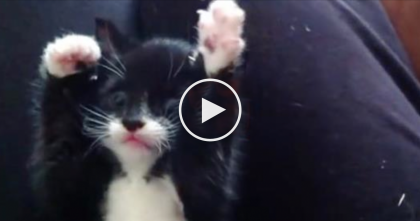 This Kitten Tries To Catch His Owners Hand And Wins With Cuteness!